Head up a flight of stairs opposite the Queen Victoria Market to find this Laotian noodle house. 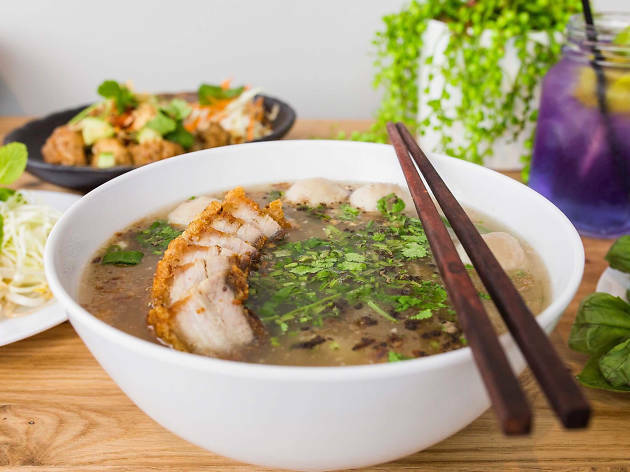 They specialise in Laotian noodle soups and stir fried noodles and everything from the broth to noodles are hand-made in-house. 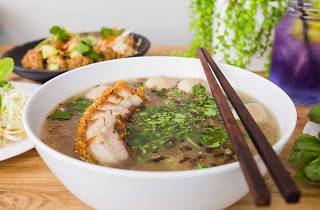 The khao piak sen is the house specialty, built off a pork broth base with a range of customisable toppings such as crispy pork belly and poached chicken.